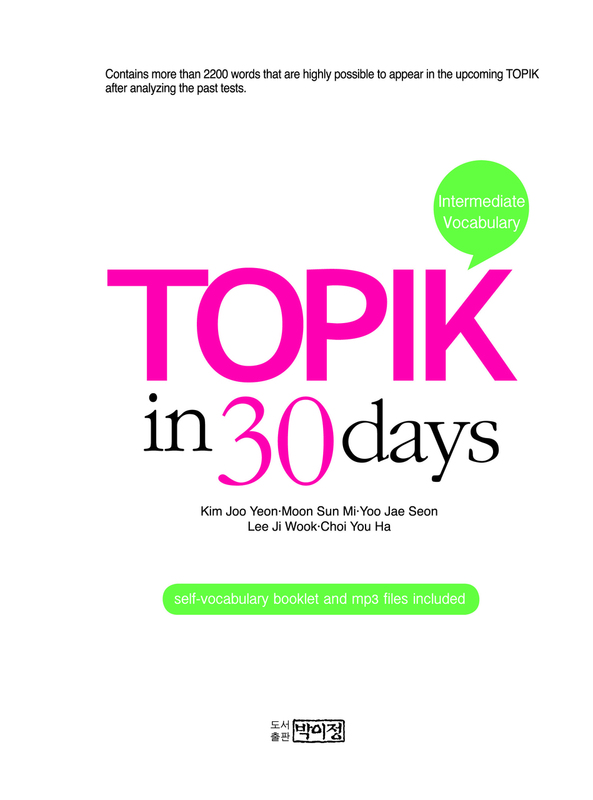 TOPIK in 30 Days - Intermediate Vocabulary is written for Intermediate learners who prepare for TOPIK especially on vocabulary. 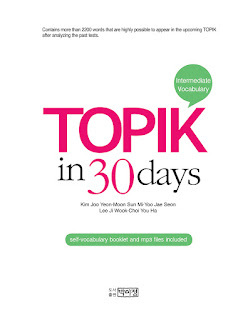 It is composed the selected vocabularies that are frequently issued on TOPIK tests. It is suitably organized for learners to easily acquire new words and make them able to check their improved capability by solving the review questions.